Sleep Deprived Mom? Baby Not Sleeping Well? Guide To Help You Cope! Whether your baby has trouble falling asleep, wakes up multiple times during the night or is ready to greet the day well before dawn, chances are good that if your baby is awake you are too. When you were an expectant parent, you probably knew that you would miss at least some sleep during the newborn days. That can be hard enough to deal with, but what do you do when your child still struggles to sleep beyond those first few months? Here is some additional information that might help you gain a new perspective on your child’s sleep issues and some suggestions that might make navigating this challenging time a little easier. Why? This is often the most frequent thought that comes to mind when you are rocking or walking your little one yet again in those still nighttime hours. No one can answer this question with total certainty, but there are a few theories. Sleeping Soundly: Nature or Nurture? When your child is regularly awake at odd hours, it can be more than a little frustrating to hear that your friend’s baby started sleeping through the night when they were three weeks old. Is the difference in the parenting styles or in the children themselves? Some people hold that most children are born not knowing how to sleep well and require training to help them learn proper sleep habits. Others propose that sleeping through the night is a skill that each child learns in their own time and in their own way, and your job as a parent is to support and comfort them through the process. Both views have many ardent followers, but the truth is probably found somewhere in the middle. Some children do need sleep training and benefit greatly from it, while others do not respond well to training and simply need to reach the milestone of sound sleep on their own. The only way to know for sure what works best for your child is to try. We have also written some useful tips to help baby sleep better. Using a sound machine has proved useful to many in helping get baby to sleep (and stay sleeping). Some experts believe that frequent night waking is not only normal in infants under about six months of age, but it is also protective. A young baby’s brain is still maturing, and signals that maintain regular breathing patterns may not get through if a baby falls into a very deep level of sleep. Waking up every couple of hours could help prevent your child from reaching the danger stage. 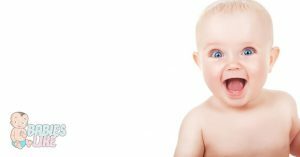 Once a baby is roughly six months of age, their brain has typically gained the capacity to regulate sleep and breathing safely. This is also the age when some babies start sleeping for longer stretches on their own. 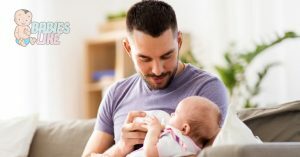 Breast milk is uniquely designed for your baby’s body to digest quickly and efficiently, causing your baby to feel hungry about every two or three hours. Most breastfeeding babies also find great comfort in nursing, so they may wake more frequently to nurse and snuggle. Formula typically takes quite a bit longer to pass through your baby’s digestive tract, and most babies can go at least four hours between meals. While a formula-fed baby can certainly have trouble sleeping, they are less likely than their nursing counterparts to wake up frequently. When the nights feel eternal, the days can seem endless, too. No matter the actual cause for your child’s sleeping difficulties, you can take some steps that can help you make it through these tough days. Sleep deprivation is no fun and survival is the basic goal, but don’t overlook the possibility of actually thriving in the midst of the difficulty. You may be surprised by how much you can grow as a person and a parent by overcoming this challenge alongside your child. Most pediatricians and family practice providers aren’t experts on sleep. While they may be able to give you some guidance or ideas you can try to help your child sleep a little better, the most important thing your provider can help with is ruling out any physical problem that could be interrupting your child’s sleep. Most of the time, sleep problems aren’t due to any medical issue. It is a possibility, however, so it is always a good idea to check for any physical cause. For some parents, it may feel like admitting that you dislike any part of parenting indicates that you dislike your child in some way. Nothing could be further from the truth! You can absolutely love your child with all your heart while honestly stating that some parts of raising them are just difficult. When you try to hide behind the “everything’s fine” facade, you aren’t doing yourself or your child any favors. You don’t have to complain about or blame your child, just try to honestly face the hardship and call it what it is. Don’t fall into the trap of despair. It can be all too easy to start believing that your child will literally never sleep well and you will continue to be this tired for the rest of your life. Try not to spend time worrying about what might happen in the future. After all, it’s just as likely that your child will be sleeping well in a few weeks or months than it is that they will still be sleeping poorly. Do what you can today to support your child and help them learn better sleep habits. All you can do is your best. Worrying about things you can’t control that may happen in the future is often unproductive and causes unnecessary stress. Try to focus on today and deal with tomorrow when it happens. When you aren’t getting proper rest, it is much easier to get frustrated and snap at small things. If you feel yourself getting irritated and feeling frustrated, try to find a healthy release before you blow up. Have a good cry. For those who find relief in tears, sitting down and crying can be very helpful in letting strong emotions out. Exercise. Some people find that doing something physical helps them reset emotionally. Go for a run on the treadmill or outside, hit a punching bag or ride a stationary or conventional bike. Talk with someone you trust. Let this person know your primary need is not to seek advice but to communicate your feelings. When you’re tired, doing something active can seem like the last thing you want to do. However, being out in the fresh air and sunshine could go a long way towards helping you and your child feel refreshed. Put our child in the stroller or baby carrier and take a walk. Enjoy spending some time together and appreciating the beauty of nature. Chances are good that you will feel more energetic from getting some exercise, or your child may even be ready for a nap after some fresh air. If so, feel free to join them and get some sleep yourself! Since filling up on unhealthy convenience foods just gives your body one more reason to feel sluggish, feeding your body healthy fuel can be especially important when you aren’t able to get the rest you need. It’s true that preparing fresh meals takes time and energy, both of which may be lacking during these sleepless days. Try to keep easy and healthy foods handy so you won’t be as tempted to grab a processed snack. You’ll be amazed how much better you’ll feel if you eat well! Staying adequately hydrated can also help you feel more energized. Water helps your body flush out toxins and has an overall refreshing effect. At least when your newborn is up every hour or two, you have people’s sympathy and solidarity. When your older infant or toddler still isn’t sleeping more than a few hours at a stretch, though, people sometimes begin to insinuate that it’s your fault and better parenting would result in better sleep. This can leave you leaving judged and isolated. No one who isn’t living in your situation can fully understand it, and parents whose children have not struggled to sleep may find it hard to understand why your family is having problems. Give everyone the benefit of the doubt and listen to their advice respectfully, but never forget that your child and your family are totally unique. You are in the best position to gauge whether letting your child cry it out might be a good option to try or if it would simply break their heart. Listen to your instincts and act accordingly. There are probably going to be those days when you have a long to-do list after a particularly rough night, and a large cup of extra-strong coffee or tea may be your best friend in this instance. While caffeine can be helpful, having too much can backfire. You may end up feeling on-edge and jittery, and you could find it difficult to go to sleep that night when you actually have the chance. If you are a nursing mother, you may find that your baby gets their own dose of caffeine through your breast milk. An overtired, cranky and caffeinated baby is definitely not what you want. Be wary of drinks that contain large amounts of sugar. Soda, energy drinks and heavily sweetened coffee or tea may provide a caffeine boost, but excessive sugar levels can leave you feeling more drained than ever once your body metabolizes it. When you are over-tired, it can be so easy to start thinking about things that aren’t actually grounded in reality. Maybe you have had these thoughts or something similar. Is My Child Doing This Intentionally? Given the choice, it’s likely that your child would choose to sleep well. They are suffering from the effects of exhaustion just like you. Try to see your child as struggling along with you, not as the cause of your struggle. You two are in this together! I’m Not Sure I Will Survive Being This Tired. While studies have shown that consistent, long-term disruptions to a normal circadian rhythm could lead to health issues or early death, these findings are usually associated with pre-existing health problems, lifestyle choices and working overnight shifts. Even if your child’s sleeplessness lasts for several months, it is unlikely to have a long-term negative impact on your health. What If My Child Never Sleeps Again? It’s almost certain that your child’s sleep will in fact improve, but it is true that some people are hardwired to require less sleep than average to function well. Your child may turn out to be one of these low sleep-needs individuals. Even if they do, however, they will not require your constant presence for their entire life. As they get older, your child will be able to safely play in their own room while you sleep. It’s only natural for the thought to cross your mind that your life will be so much better or easier when your child is older and a little more independent. The fact that your young child needs you for almost everything at all hours is a responsibility that can feel like a heavy weight at times. Yes, in some ways your life will be easier when you can sleep more or your child can do more things for themselves, but never forget that every stage brings both its challenges and joys. Don’t miss the awesome things that are going on right now because you are too busy looking forward to the great things that will be. Try to appreciate the fact that you can soothe your child with just your touch or voice, and they want nothing more than to have you near them. The days are coming when the hugs, kisses and snuggles may get fewer and farther between, so soak them all up while you are still your child’s whole world. It’s definitely not easy, but this is a great opportunity to show your child patience and love as you guide them through the process of learning to sleep. While it can feel almost impossible to drag yourself out of bed one more time, you can take pride in knowing that you selflessly put your child’s needs ahead of your own. You will get through this. One day, you will be the experienced parent who can give empathy, encouragement and hope to other moms and dads who are struggling with sleep in their own home. What is/was your child’s sleeping like? Do you have any more suggestions for dealing with tiredness as a parent? Tell us about your experiences and ideas in the comments!